Samyang AF 35mm F2.8 Specifications Mount: Sony E. Minimum focus distance: 0.35m. 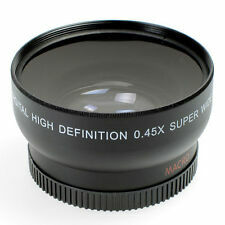 This lens is in excellent condition throughout and full working order with no faults. This is the Sigma EX 24-70mm F2.8 DG DF Aspherical AF Lens Sigma Mount. The Sigma 24-70mm F2.8 EX DG is a large aperture standard zoom lens and covers focal lengths from 24mm. SONY 50mm F1.8 OSS Lens E Mount APS-C Black, only used a few times, in excellent condition. Product Highlights:-Large Aperture - designed with high quality multi-coated optical glass. Exquisite body features amazing maximum aperture of F1.1, which creates fascinating background blur effect and sharper image quality. No worry about the low-light & night scene, just shoot and enjoy the safe and fast shutter speed. -For Premium Optical Design - 12 circular aperture blade, 5 groups 5 elements lens stricture with high quality multi-coated optical glass, ensures low image distortion, excellent image sharpness and contrast. 50mm focal length is equivalent to 75mm on APS-C camera. Perfect for portraits shooting with fascinating background blur effect. -Compatibility - compatible with. The best UK new price is around £1080 or you can buy from Hong Kong and stress for a couple of weeks until it arrives for around £830. The lens is in Excellent condition and is full working order. Focal range：12mm. The focusing ring is very smooth and easy to operate. Minimum Focusing Distance:10cm. There are no faults / issues on the lens. The lens is used and in good working order. Includes is the top lens cap! The Samyang AF Lens Station is a device that enables you to customise the performance and update the firmware of your Samyang AF E-mount lens. Its bright f1.4 aperture is ideal for shooting high-quality images in practically any lighting situation and is suited for achieving selective focus imagery with beautiful bokeh. A lovely little gem of a power zoom. a beautiful black versions of Sonys E mount standard power zoom. Lens hood. Superb quality images, item may be viewed / tested Wirral area. Condition is in Great condition. Two glass mold aspherical lenses, including a double-sided aspherical lens, provide excellent correction for all types of aberration. The inner focusing system corrects the fluctuation of aberration to maintain image quality regardless of the focal distance. Samyang 14mm F/2.8 UMC Aspherical IF ED Lens for Canon Mount. This lenshas a CANON MOUNT. The (huge!). 5 out of 5 stars - Samyang 14mm F/2.8 UMC Aspherical IF ED Lens for Canon Mount. 22 product ratings22 product ratings - Samyang 14mm F/2.8 UMC Aspherical IF ED Lens for Canon Mount. Sigma 30mm f/1.4 DC DN Contemporary Camera Lens for SONY E. Owned from new in perfect condition. Will come in original packaging and sent safe and secure. camera not included (but is listed separately if interested) Dispatched with Royal Mail 2nd Class. UK ONLY PAYPAL ONLY happy bidding and message me if you need anything else. Tamron SP 10-24mm f3.5-4.5 LENS. PERFECT CONDITION BUT USED. The item photographed is the item you will receive. In very good condition and in full working order. In original case. Features: 7artisans 35mm f1.2 features a six-element, five-group design. 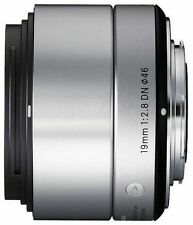 It has a maximum relative aperture of F1.2 to F16 through its range. High Definition Multi-Layer Coating: Increased Light Transmission and Reduced Internal Reflections Such as Flaring and Ghosting Portable Aluminum Mount: With aluminum-made body and copper bayonet, 7artisans 35mm / f1.2 weights as light as 150g, which is portable for your photography. .
TAMRON 28-75mm f/2.8 Di III RXD Lens for Sony E Mount. RXD Stepping AF Motor. BBAR and Fluorine Coatings. Lens hood. Superb quality images, item may be viewed / tested Wirral area. - B W MRC UV filter. Sony FE 50 mm F/1.8 FE Prime Lens. Dispatched with Royal Mail 1st Class. Rarely used so decided to sell. In immaculate condition. Condition is Used. Mount: Sony E. Length10.8 cm. Filter Size49 mm. Feature: Image Stabilising, Aspherical. zoom lens. Uv filter and rear cap included. Optical Zoom3.8 x.
Super sharp crystal clear images are possible. Thank you for looking at this Zeiss Batis 25mm F/2.0 in mint condition and packaged in the beautiful Zeiss box. Comes with originally packaged accessories (lens hood, front and rear lens caps). NB. I shall be away Tuesday 23 - Sunday 28 April inclusive and shall not be able to post the item during those dates. Excellent condition. Sony A Fit. Condition is Used. Note this is a Minolta MD mount lens! 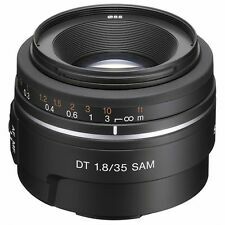 Sony 35mm f/1.8 OSS Lens E Mount (SEL35F18) lens. The lens is in full working condition. The lens optics are very clean. Manual focusing ring working. Sigma 30mm F1.4 DC DN Contemporary Lens in Sony E Mount Fit. Very Good Condition - 9 The lens is in great condition and comes with the manual, box, hood and caps. The item is in very good condition throughout, fully tested and working as new in all respects, producing superb, sharp images. Optics are superb. Serial number 025 recorded and photographed for security. Sony SEL 55 mm - 210 mm F/4.5-6.3 E OSS for Sony - Black - immaculate condition! Sony SEL 55 mm - 210 mm F/4.5-6.3 E OSS for Sony - Black - immaculate condition!. Condition is Used. Dispatched with Royal Mail 1st class tracked. The lens is in immaculate condition. No damage to the exterior nor interior. No dust in the optics. Comes with original box and with lens hood and lens caps. UK only. Happy bidding! Please see my other listing, immaculate condition Sony A7iii Camera and accessories. 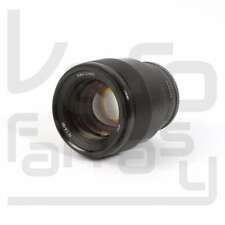 4.5 out of 5 stars - Sony SEL 55 mm - 210 mm F/4.5-6.3 E OSS for Sony - Black - immaculate condition! 33 product ratings33 product ratings - Sony SEL 55 mm - 210 mm F/4.5-6.3 E OSS for Sony - Black - immaculate condition! Sony E30mm f3.5 Macro main features. Minimum working distance from front of lens to subject of just 2.4cm, and minimum focusing distance of 9.5cm. Great lens for general photography. Komura 35 mm f2.8 lens for Sony E mount manual. Great condition. Komura 35 mm f2.8 lens for Sony E mount manual. Great condition. . Condition is Used. Dispatched with Royal Mail 1st Class. Minolta AF 28mm 1:2.8(22) Prime Lens for Minolta. Condition is Used but very good. Dispatched with Royal Mail 2nd Class.